Nepal today: Nepal is a democratic independent landlocked country bordered by India and Tibet (China). There's an 80-90% Hindu, 10% Buddhist population plus ethnic groups. The country is listed as a developing nation economically. Over 9% of Nepals income comes from tourism. To the north are the mighty Himalayan mountains. The midlands are a rugged and an adventurous landscape mixed with ancient and modern cities filled with cultural heritage. To the south are both arid flatlands and extensive jungle filled with wildlife. Nepal for tourists: Once a part of the hippie trail Nepal today has matured into offering a wide range of activities and sightseeing for everyone. From one day treks in the Himalayas to full on Everest summits. Jungle safaris with elephants, tigers and rhinos make Nepal one of the most exclusive destination for great wildlife spotting in the world. For heritage and culture enthusiasts Nepal's ancient Newari, Hindu and Buddhist cities are virtual treasure troves to explore. There's quite literally something for everyone in Nepal. With tourism being Nepal's number one industry it's a country focused on ensuring that one visit is never enough. There's a huge return in visitors proving there's something very addictive about the friendly people here and indeed in traveling throughout Nepal! A little country with a lot to see: While geographically quite small, 147,181 km2 (56,827 sq mi), Nepal's lack of modern infrastructure makes relatively short trips rather epic journeys. The first map is shows the main highlights of Nepal interactively On each main page on this guide will be a local map which is far more useful. The best regional map of Nepal: the second map here from my guidebook shows you how Nepal's small land mass is split into three main regions that offer tourists different activities. Northern Nepal --- is the rich mountainous area filled with incredible trekking routes. Central Nepal --- is an area filled with lush valleys, hills and mountains filled with cultural heritage. Southern Nepal --- is divided into dense tropical jungles and vast flat areas. The best tourist map of Nepal: the third map here is from my guidebook to Nepal and is far better at showing you the specific regions and places in Nepal. For more a more detailed map see places to travel in Nepal. Nepal offers something for everyone in Nepal. Quite literally everything but the sea exists in Nepal (there are lakes for those who enjoy water sports) So no matter your interest there's a strong chance you'll be able to do it in Nepal. Whether it's day trip treks, 3 day treks or 20 day treks Nepal has a trek for everyone. Trekking in Nepal accounts for 10% of the countries dedicated visitors every year. The Everest Base camp trek is perhaps the most most famous. But don't go away without realizing that enjoyable one day treks are also possible. it's recommended that you read this list of popular treks (with maps) to discover many more incredible trekking routes throughout Nepal. New to trekking? 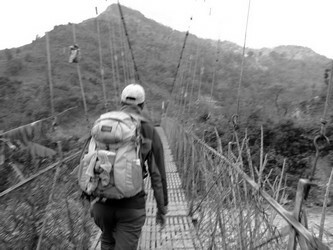 Get started by reading about what you can expect from trekking in Nepal. Some of Nepal's best sights and activities lie away from the mountains in ancient cities. Spend a few days in the capital of Kathmandu city enjoying heritage walks or visiting places like Durbar Square, Swayambhu (monkey temple) and Pashupatinath. Go further in the Kathmandu Valley by taking day trips to places like Patan, Bhaktapur, Thimi, Dhulikhel, Gokarna and Panauti. The best place to start exploring heritable in Nepal is this guide to the Kathmandu Valley. Wildlife and jungle lovers will be enthralled to discover that Nepal has some of the best experiences in the world. Head south to Chitwan National Park to go jungle trekking or take an ethically positive elephant safari to spot wild tigers and rhino. Moreover if you really want to go off the beaten path try visiting Bardia, it's a tough journey to get there but it's truly a remote jungle experience. Bardia is also one of the best locations to spot a royal Bengal tiger. Do read my travel guide to Bardia National Park. Adventure seekers and adrenaline junkies will find heart thumping activities in Nepal with ease. Go paragliding, white water rafting or rent a motorcycle to tour the country from Pokhara. 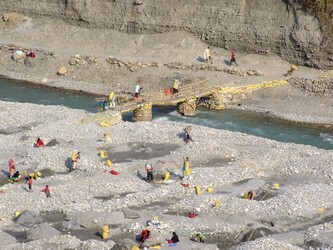 Take a micro flight flight or go bungy jumping / canyoning or zip-lining on the border to Tibet! If you are just staying in Kathmandu then check out this exciting list of things to do in Kathmandu. Seeking peace or enlightenment? Visit the birthplace of Buddha in Lumbini, volunteer in a monastery, take up yoga, meditate or chill out with some Sadhu holy men. It's not all about exciting activities and discover in Nepal. Take some time out and enjoy sitting by lake Phewa in Pokhara while taking a stroll to some cultural villages or enjoy some fine Nepali cuisine. Nepal has some of the best coffee and some of the best Himalayan tea shops in the world. Both Thamel (Kathmandu) and Lakeside (Pokhara) have second hand book stores shelved with rare and new books to enjoy. Filled with restaurants, cafes, chill out bars and with some of the best sunsets and sunrises in the world you can easily relax a day away in Nepal. What's the food like in Nepal? You can get just about anything in the world in Pokhara and Kathmandu. The Nepali know how to cook food from around the world. Giant steaks, pizza, pastas and Chinese are easy to come across. Though the Mexican dishes are a little strange. Dhal Bhat is Nepal's national staple dish. You can get it vegetarian, or with meat, and I seriously like it. And then there are Nepali momos. Anyone who has ever tried momos generally keeps going back for more! Vegetarians will be pleased to know that there is a large range of vegetarian dishes in Nepal. Avoid street food in Nepal at all costs. Unlike other parts of South Asia Nepal's street food is not safe for the vast majority of tourists to eat. Street food is not refrigerated in Nepal and is often heated up over many days. Parasites, viruses and bad bacteria have ruined many a trip to Nepal so avoid the problems by avoiding street food in Nepal. In restaurants it's best to check that the food is refrigerated and the area looks clean. Generally speaking a busy restaurant is usually a good sign. Unless you are eating in a high-end establishment do try to appreciate that things like "gluten free" "lactose free" terms may not be understood or adhered too. Do avoid any type of frozen food in Nepal which may not be frozen poorly. Examples include prawns (shellfish), salt water fish and to an extent mutton. The best food to eat in Nepal is fresh food which Nepal is known for. Fresh vegetables are common place along with chicken, pork and fresh water fish. Do check out my hands on Nepali food articles for more ... or this overview on what the food in Nepal is like. Drink bottled water only! Do not drink tap water in Nepal. Tap water in Nepal has not been treated and most often comes directly from an unfiltered well or delivered from unknown sources. Stick with bottled water which is relatively inexpensive. There are two sides here. Generally speaking the Nepali are some of the nicest, helpful people in the world. However, you will get some bad types (usually trying to sell a service) and the touts are annoying. The Nepali know you better than you think. Tourism is their number one industry and they know what people from each country likes. Tell them your nationality and watch them adapt instantly. It is a developing country though so be prepared for from hardships like the Street Children in Kathmandu and learn how much an average Nepali earns in a day. 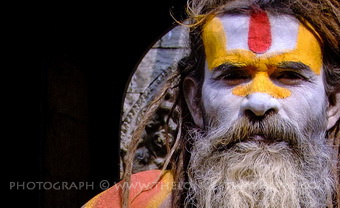 For a more colorful side to Nepal check out the holy men of Nepal: the Sadhus. 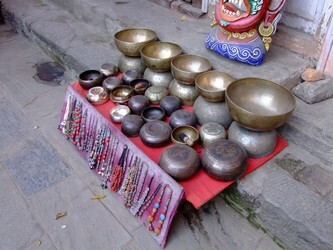 Learn more about Nepali culture and etiquette and about the different types of people of Nepal. Overland: From India the easiest crossing is Sunauli. You can also cross the Nepali border with Tibet but you will need a Tibet permit which I've covered in my tourist visa information section under Tibet. For more information on traveling overland do check out my extensive article on how to travel overland into Nepal. By Flight: Kathmandu airport is where all international flights arrive into. Delhi has regular flights for about $200 USD and Bangkok for $250 one way. Try my custom flight search for the lowest priced flights to and from Nepal! Nepal travel visas: Available for the periods of 15 days, 30 days and 90 days they are most commonly obtained on arrival. For a comprehensive look at travel visas for Nepal including, fees, downloadable forms and more information visit my dedicated page on updated visa information for Nepal. Do read my guide for first time visitors to Nepal for more on what to expect. If you are planning your holiday to Nepal do look over on the right hand sidebar of this page for neat look at all the travel guides and information to make your trip complete. A little preparation goes a long way to making a journey to Nepal more enjoyable. Nepal has a wonderful warm culture unlike many others on earth. It's a tantric mix of religions, beliefs and socioeconomic lifestyles. Everyone and everything is accepted in Nepal but one must still respect Nepal culture. There's an initial hectic feel to Nepal but the reality is things are very much laid back. 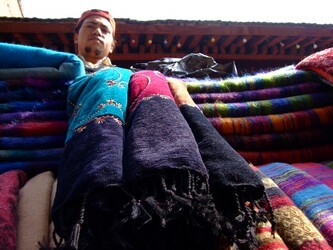 Throughout the Kathmandu Valley you will meet the original founding people of Nepal the Newari. You'll also meet the majority Hindu population who also inhabit the southern Terai region while to the north there's a strong Buddhist influence. The most important thing to do is respect everyone's beliefs. This is what makes Nepal such an accepting and dynamic culture. Ancient temples showing a blend of Newari, Buddhist and Hindu scriptures are a prime example of this. The chaos of Nepali streets in terms of traffic, congestions, sanitation is another thing all together. But again, tempers rarely flare. Even in abject poverty the people of Nepal are very warm, friendly and helping to tourists arriving and exploring the Himalayan nation. Never lose your temper in Nepal no matter how frustrated you get. It's a sign of stupidity and although people will smile and nod at your, they'll really not be taking you seriously. The best thing in Nepal is to go with the flow! Nepal can be visited at anytime. However it's really important to know why you are going because some activities are best experienced at certain times of the year. To get a better idea of when to go do see my extensive pages on the best time of year to visit Nepal and the best time of year to go trekking in Nepal. Again, depending on what you want to do in Nepal and when then your packing list will be different. 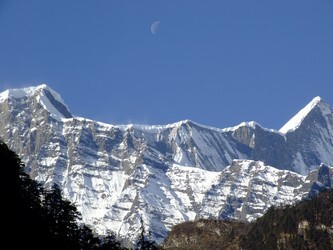 Nepal has 5 seasons - spring, summer, monsoon, autumn and winter. You'll need to adjust your packing list for each season. Electricity: One of the most important things to remember when packing is the electrical outages and load shedding in Nepal. Bring backup batteries and power banks if you have a lot of devices. Also bring a head-torch. The standard voltage in Nepal is 230 V. The standard frequency is 50 Hz. New hotels have multi adapter style sockets which accept most plugs while older hotels generally have a two-prong European style socket. Bringing a surge protector is a good idea. Medicine. Bring your own medication to Nepal. While pharmacies are everywhere, you won't always get what you need and counterfeits do exist. Luggage: don't worry about having to carry everything. You can either hire a porter or leave most of your luggage in your hotel. Hotels won't charge if you stay a few nights there. Laundry services in Nepal are not the best. Most hotels charge by the kilo or by piece which is more expensive. For trekking do see my packing list for Nepal. Finally do read this exclusive page on how to prepare for a trip to Nepal. Nepal has a wide variety of hotel & guesthouse accommodation across all budgets. Avoid AirBnB as prices are inflated and the service is not regulated well in Nepal. Likewise avoid Couchsurfing which is completely unregulated in Nepal and there have been serious safety issues in the past. Finally, in 2017-2018 several corporate travel companies started to market "community homestays". Again, they are being promoted by tour agents and are more expensive than hotels. If you are looking to actually stay in a family home and experience Nepali hospitality then look for locally run guesthouses which are nearly always run by families. Hotels in Nepal usually come in budget, mid-range and high-range accommodation standards. There is no regulating body who manages standards in Nepal so just because a hotel is high-range or has a high price doesn't been the services are. 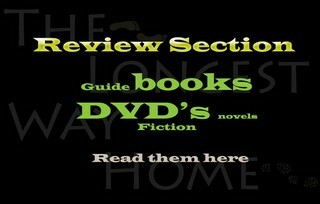 Read reviews very carefully. Nepal is renown for being a great country to travel with a group, in pairs or alone. 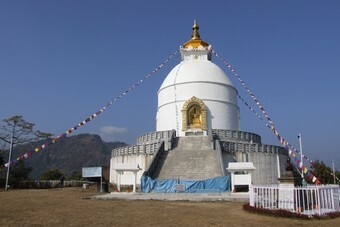 Part of the reason that Nepal is favored by solo travelers is that is considered a very safe country tor travel alone. While India continuously struggles with safety issues for travelers Nepal has been know for years as being as safer alternative. Nepali people are very welcoming and protective or tourists in Nepal. Every helpful they will often go out of their way to aid a travelers. Solo tourists in Nepal do of course have a few things to watch out for like in any country. Typical examples is not to be out late alone at night. Not to get intoxicated alone and to ensure their rooms are always locked. It's also very important when traveling alone to let friends and family know where and for how long you will be staying in Nepal. Nepal is generally considered a safe country for women traveling alone. Compared to India Nepal is generally considered to be less harassing and far safer in general. That said it is important that solo female travelers in Nepal takes precautions like letting friends and family know where you are. Only trekking with registered agencies, avoiding volunteering pitfalls and understanding that romantic relationships in Nepal are not always what they seem.. If you've never been to Nepal before then do read my first time visitors guide to Nepal. It will give you a good insight in what to expect. Most problems in Nepal can be overcome with some preparation. Nepal has a very low crime rate. Lower still within the tourism sector. Petty crime is virtually nonexistent. Most "crime" occurs via the service industries. 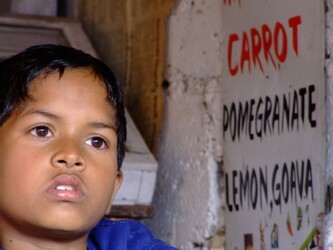 e.g., volunteers losing money through corrupt organizations or donating money to corrupt orphanages. Nepals sanitation problems have improved slightly over the past ten years. Still, open sewers and inadequate sewers along with a constant shortage of electricity leads to sanitation issues. Wearing open toed shoes or sandals is never advisable - especially in the monsoon season. Nepal has a rapid problem with pollution. Solid fuels, unsealed broken roads, next to no recycling, traffic congestion and a lack of environmental solutions means big cities like Kathmandu can suffer. Dust masks help in the big cities from the dust caused by the broken roads. Frequent power cuts are known as load shedding in Nepal. Anywhere between 6 to16 hours a day of no electricity is commonplace. Thankfully during the peak tourist months load shedding is at a minimum. But during the winter months having only 6-8 hours of electricity a day can be problematic in the long-term. There's a certain amount of disorganization in Nepal. In reality it's a part of the countries charm. While the private tourism sector is one of the better areas for disorganization it can still be a little uncomfortable for those coming from very well organized countries. Never-the-less, everything still seems to work out in the end in Nepal. It's a case of going with the flow than against the grain! "Tomorrow never comes in Nepal". This is my own saying whenever I'm told when something will get done. There's so much smile and charm in Nepal when someone tells you what time they will arrive only to be left waiting ... Time moves differently in Nepal. Again, go with the flow rather than against it! In most major locations you'll find the tourist police - dedicated to helping tourists with any crime issues that might occur. Nepal's infrastructure is not the best. That said the main tourist destinations as accessible as possible. There are several ways to get around Nepal both nationally and within cities. There are several ways to get around the whole country. Nepals geographically rough terrain makes time and distance irrelevant compared to time and type of terrain when it comes to land travel. Delays from all forms of transport are frequent for everyone. Nepal has many domestic airlines that offer many daily flights between popular locations or weekly routes for more remote areas. Domestic flights can be a much faster way to travel the country than land travel. A 30 minute flight to Pokhara could take up to 7 hours by land. The negative aspects of taking a domestic flight in Nepal are cost (foreigner prices are inflated), frequent cancellations due to weather and a less than stellar safety record. Local buses: older 28-32 seater buses adapted with smaller seats. 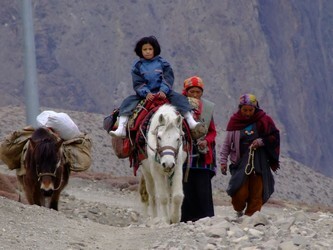 These are the main forms of local transport in Nepal. Seating is allocated with tickets available at bus terminals. These buses are generally uncomfortable by tourist standards with no air-conditioning and frequent breakdowns. Tourist buses: newer (but still old) 32 seat buses with larger seats that ply popular tourist destinations like Kathmandu to Pokhara and Chitwan. These tourist buses leave from Sorhakhutte in Kathmandu everyday in the morning (in 2018 Kantipath bus stop closed, all tourist buses now leave from Sorhakutte). Tickets are available from travel agents and hotels only. Allocated seating is dubiously adhered to as bus conductors often move tourists to accommodate locals. Stick to your right to have your seat as you purchased it rather than moving. The price between a local bus and a tourist bus is not significantly different so many Nepali are now using them. However, in recent years there's been a push to make these buses only available to non-Nepali. Luxury buses: several private bus companies offer more modern air-conditioned buses between popular routes e.g., Kathmandu to Pokhara. These companies include Greenline and Jagadamba. These buses are far more expensive than tourist buses but offer more comfort, correct seating and a meal on the way. There are many types of smaller travel vehicles in Nepal that have several different names. "Micros" as they are becoming are usually 18 seater hi-ace style vans that connect both inter-city routes but also cover long-distance destinations. They are slightly cheaper than local buses but are tainted with safety fears, many accidents and over crowding. Driving yourself in Nepal is possible but not recommended due to the difficult terrain, road management, regulations and targeting of tourists for "accident claims." Most people will simply hire a car or jeep with a driver for the day either to take on more comfortable long-distance trips or for day trips. Prices vary depending on the distance, location and type of vehicle. .
Taxies: Taxies are the most common way for tourists to get around cities in Nepal. They are relatively cheap but you will have to bargain before getting in. They are metered but these are rarely used. Taxis are also quite small and best suited to transporting 3 people at a time. Four can fit in, but it can get squashed. City buses: Local city buses are small and old but there is a slow roll out of newer but equally small buses. To take one simply wave one down and try to get on. They are usually very crowded unless you manage to get one at a terminal. There are no bus tickets nor English signs telling you where they are going. So you'll be better off asking locals how to get somewhere. Tempos: These gas or electric powered three-wheeled vehicles are Nepal's version of a rickshaw which take up to 8+ people along city roads. They are becoming less popular or frequent. Again, like city buses they are cheap but don't offer English or easy to follow routes. Rickshaws: Cycle rickshaws are most popular in the Thamel part of Kathmandu city and in the Terai region. They are only good for short distances and do remember to bargain hard with the driver. Bicycling: hiring a bicycle is possible in many parts of Nepal. The one place I do not recommend to hire a bicycle is Kathmandu city. The pollution and traffic is just too dangerous. Outside of the city it can be more pleasant. Here's a full guide on how to get around Nepal. Derived from Sanskrit Nepali is the official language of Nepal with over 70% of the population speaking it. However in all the main tourist destinations English is spoken quite well. Though there will be some linguistic anomalies. Nepal's international dialing code is +977. Dialing out of Nepal is straight forward by using either + or 00 first followed by the country code number you are trying to reach followed by the local number. Many hotels and travel agents will allow you to made land line calls within Nepal for free. Otherwise there are dedicated call centers in popular areas like Thamel in Kathmandu, Lakeside in Pokhara and along the main road in Chitwan. Call centers are often used as "cyber cafes" which also provide VOIP services like Skype. Virtually all hotels and restaurants have WIFI. However, having a working or good internet connection is often a struggle. Large hotels often charge extra for WIFI while the vast majority of budget and midrange hotels offer WIFI for free. If WIFI is important to you then you might be disappointed in the slow connection speed throughout Nepal. Nepal has several mobile networks. NTC and NCELL are the two major cellular mobile networks in Nepal though new ones are appearing in 2018. Sim cards are easily available throughout the country though tourists will have to provide passport copies and photographs to obtain one. Avoid tourist sim packages unless they suite you. Most are expensive compared to local prepaid packages. Do read my guide to mobile SIM cards, the Internet and WIFI in Nepal. Nepal's currency is the Nepali rupee (NPR) which is available in 1000, 500,100, 50 and 10 rupee notes. The currency is not easy to purchase or sell outside of Nepal. There are plenty of money changers in Thamel, Pokhara and Chitwan. Most hotels will also offer exchange fees but at high rates. Do see my guidebook to Nepal to locate recommend money changers. All tourists and travellers to Nepal should let their bank and credit card companies known that you are traveling in Nepal. Many banks cancel cards if you do not let them know. Likewise if your bank offers an SMS security service it may not work in Nepal due to the telecommunications network in Nepal. I cannot emphasize more than choose an ATM in Nepal wisely. Between electricity power cuts (failing ATMs), poor maintenance and banking regulations it's important to choose the right ATM at the right time. Since 2015 banks have started placing all ATMs in central locations called "ATM lounges". Inside will be several ATM machines from different banks. The important points to remember are to choose a bank with sign showing that it supports your card. It's also important to know the electricity is running (try to use one when everyone has electricity in the area). Popular ATMs include Standard Charter, Himalayan Bank and Nabil Bank. unfortunately most ATMs don't allow large sums to be withdrawn. 10,000 to 30,000 rupee withdrawals at a time are commonplace. Be careful using your credit card in Nepal. Some businesses still use old carbon swipe and sign machines. While still legal, there can be an element of fraud. Do keep all your receipts in this case. Likewise do not use your credit card for purchasing online domestic flights or bus tickets. Many services are just not secure. Purchase tickets in a travel agent rather than online. Try to pay for everything you can in cash. Here's a guide on dealing with money, ATM's and credit cards in Nepal. Of all the places in my journey Nepal gave me that deep feeling that reached out and said this could be home. Find a niche market like the paragliders did and you could also make a living here. There are ferocious obstacles though. Asides from the political instability at the moment Nepal still has one of worst economies in the world, a country on the brink of natural disaster and an already over populated tourist industry. It can be tough to make a living here. It's very easy to be wooed by Nepal. I've met countless volunteers and older travelers who either fall in love with orphanages or Pokhara. It's hard not to understand why, but I've rarely seen it work out in the long run. Nepal generally works out to be great for a few months of the year, or every few years. Long-term expats in Nepal often end up torn by a love for a country and it's complete inability to develop or allow oneself to develop there.. Owning property or a business is in Nepal is not possible outright if you are a foreigner. By marriage and business partnerships only. For some more insight on this do read this article on how to do business in Nepal and understanding the caste culture of Nepal. On April 25th a 7.8 earthquake hit Nepal followed on May 12th by a powerful aftershock. Over 8.1 million people were affected. 8,700 died with the final number expected to reach 10,000. Several of Nepal's historic temples were destroyed. Many more temples survived the earthquake. Nepal was quickly helped by a vast international aid effort which directly rescued over 1,200 people from rubble and delivered aid to thousands more. Nepal's tourism infrastructure was not directly affected. The vast majority of the Kathmandu Valley temples survived. 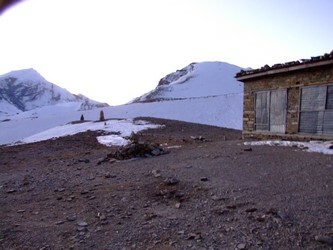 Only 2 out of 30+ trekking routes are closed. Nepal is currently in the process of rebuilding. Over 8% of its economy relies on tourism and an unofficial number of 25% of the population is supported by tourists. Nepal is officially open to tourists with both the government and the people of Nepal asking for more tourists to come. Visiting Nepal is the best way to directly help at this stage as it promotes sustainability via the tourism economy. In 2018 all of Nepal's wonderful sights are open and ready to be visited. How much is a daily budget? Nepal remains a relatively good budget travel destination however in truth Nepal can be as expensive as you want or as cheap. You can stay in a 5 star hotel for $250 USD a night and be driven around in a private car for $50 USD. Or you can get a private room for $5USD and go the public transport route for under $1. If you avoid the tourist restaurants and entrance fees you can spend a day here for $12USD (eating good food in local places). But the thing with Nepal is that there is so much to do. $25 with local transport to city sites with some entrance fees. The above is based on a low budget, you can spend a lot more per day depending on your needs. How to save money in Nepal? Package tours: Do not buy an expensive package tour with a private company unless you have the money to spend and/or literally do not have a day to spare. I came across people who had spent $5,000USD for a 10 day stay in Nepal. Yes they had everything taken care of for them. But they also did not get to choose their guide for a 3 day trek. Stayed in an out-of-the-way 5 star hotel and were fairly isolated. It was too much money by far. Hire a local guide: Hiring a package tour guide from overseas on the internet is a waste of money and not practical. There are so many guides in Nepal even in the height of tourist season there are still too many. The streets are full of guide offices. Have a read of my article on hiring a trekking guide in Nepal for more information. 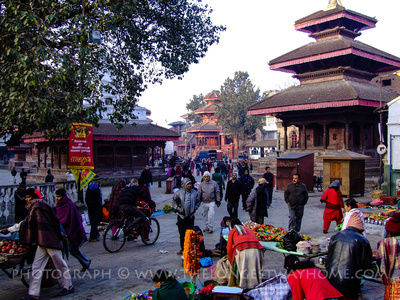 Kathmandu: When you buy your pass to Durbar Square, head off to the tourist office there straight away and for free get a pass to the square for as long as your visa lasts. Keep in mind Durbar square is in the middle of KTM so you will have to pass through plenty of times (read more about ticket prices to Durbar Square in my guide). Bhaktapur & Patan: The hefty entrance fees imposed here have resulted in a high level of preservation. Thankfully there are many many side streets you can meander down off the main entrance area to avoid buying a ticket should you wish. Stay clear of these little side streets later as they have guards asking to see your tickets. Better yet, go with your passport, pay up to help conservation and get your ticket stamped for the validity of your stay in Nepal. Post earthquake Nepal remains filled with temples and culture. Eating out: Thamel in Kathmandu and Lakeside in Pokhara are two popular places for expensive (albeit great) dining. Walk a little further and enter a good, local place. A bowl of chicken soup, plate of momo and a coke will cost about $1.50. A buff steak $3.00. Chow Mien $1.30. The problem comes when you are socializing and head out to eat. Most will head to a nice place and want to split the cost of the meal within the group and bang there goes your budget! Likewise with beer such as Nepal Ice or Everest it's 4-5USD on average in most restaurants for a liter bottle. That said beer in Nepal is not the cheapest anywhere due to high tax. If you are on a budget, do read my backpackers guide to Nepal. What are the Banks/ATM's like in Nepal? Never had a problem bar from power outages. Be sure to ask your hotel/guesthouse for the electrical outage times before heading off. Most banks have generators but not all work that well and I have heard of a few travelers getting their cards stuck due to this. The ones in Thamel are fine and in Pokhara. Banks are open Sunday though to Friday Lunchtime. If you are going trekking be sure to stock up on your smaller Nepalese notes as ATM's usually only dispense big ones. Guesthouses and eateries usually will struggle for change in remoter areas. One thing you must do is tell your credit card provider that you are in Nepal, otherwise it might get blocked. Do read this guide on dealing with money, ATMS's and credit cards in Nepal. Mine! Let me explain - Lonely Planet's Nepal is useless for the overland traveler, coming across borders or for up to date information. For Kathmandu the book is okay if you were there 10 years ago and don't mind old fashioned hard to read maps. For Pokhara, Bhaktapur and Patan its maps are bad and some of the information is simply incorrect since the earthquake. Yes, I'm speaking from experience here. So after over 10 years of research and writing the best online guide to Nepal I've written my own guidebooks to Nepal. 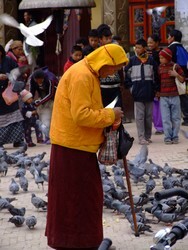 Including the best Guidebook to Nepal - you simply won't get better anywhere else, guaranteed! For trekking check out my FREE trekking guides to Nepal. And my guidebook to Trekking in Nepal. I've also written up several more FREE travel guides to several of these places based on my own personal experience. Do explore the links within these guides as they lead to further pages on this site with yet more information to help you. If you would like something included or are looking for printed versions then get in touch. See my links in the upper right sidebar of this page for more guides to Nepal plus overland travel guides in and out of Nepal. For those that want an actual book to own and read offline then I've got my own best guidebooks to Nepal right here. Over the years I've been asked many questions about Nepal both by people planning to visit and by those already in the country. Here are some of the most frequently asked questions along with answer about Nepal I get. How to buy trekking gear in Nepal? If you have trekking gear, have the luggage space and are only visiting Nepal for trekking then fine bring it. Otherwise buy it there. Kathmandu has one of the largest selections of trekking gear on the planet. It is a lot less hassle to shop in Pokhara. Prices are dependant on quality. Let's take an all weather North Face Jacket listed at $300 online retailers as an example. You will find the real thing in the North Face store in KTM. It will be a the same price as the USA or Europe. In the downtown KTM trekking stores there are 3 categories. Fakes (China), copies of fakes (Nepal made) and Nepalese copies. Avoid Nepalese copies. They are easy to spot with bad logo copies, and poor stitching. Stitching is key to the others. Examine the jacket carefully and pull at the seams. If there is any give at all, put it away. Turn the pockets inside out and examine them. Any bad shapes and poor stitching is easily seen here. You should be able to walk away with a good quality heavy jacket (Nepal copy) for $30 or China Copy for $40-$50. The only thing I would not buy are trekking shoes in Nepal. They are dirt cheap, look nice, but glued. They will fall apart in a few weeks. If you really are worried about buying fake trekking gear in Nepal. Then head to The North Face Store opposite Fire & Ice in Thamel. They have a huge range of quality stock. Otherwise Sonam are a regional trekking store with their own brand which sells quite good equipment and have several outlets in Kathmandu and Pokhara. As to what trekking gear do you need? Well, you'll need to factor in what trek, what time of year and how long you will be going before buying anything nice and new. But before you do that check out what I've written about Equipment you'll need for trekking in Nepal Otherwise there's a huge section in my guidebook on trekking in Nepal with details on equipment you can and can't buy in Nepal. The two most common complaints or illnesses tourists have in Nepal are respiratory and stomach related. Respiratory infections generally occur due to the high levels of pollution and dust in Kathmandu city. This can get particularly bad in the winter months (dry season). Sinus, chest and ear infections are the most common ailments. Prevention comes in the form of wearing a dust mask that many a locals wear daily, or simply not staying in the city during these months. See below for more on stomach complaints. Read my guide on what vaccinations do you need for Nepal. How to deal with stomach problems in Nepal? Nearly everyone unaccustomed to this part of Asia will get have a few days of bowel issues. This usually passes but be sure to stay hydrated and seek medical attention if it persists. There is a chance you will come away with something on prolonged treks or stays. Especially if you go the off season where food is not prepared as frequently. Giardia is possibly one of the biggest things to look out for and thankfully fairly easy to treat. A bad stomach for a day or two should pass by. Anything lasting longer and you should seek proper medical advise. Check out my own medical woes list here. Fake memory cards are a big problem as is the cost of buying them. Head down to New Road in Kathmandu to buy and test the cards at a reduced cost to Thamel. Cyber cafes are everywhere in Nepal. But they are slow and full of viruses. Be sure to backup all your photo's and personal data before plugging you memory card, flash disk or external Hard Drive into any public computer. It may be a better option just to buy another memory card. WIFI is available in most Cafe's and in some guesthouses but again slow. Try to test its speed out before investing in an expensive coffee or meal. Don't know what camera to take if your going trekking? No problems. Read camera recommendations for trekking in Nepal which includes how to get camera repairs in Kathmandu. In late 2016 Nepal when from 18 hours of no electriicy a day to 24 hours of electricity. Load shedding still exists but rarely lasts more than a few hours these days. If electricity is vitally important to you during your stay e.g. battery charging etc. Then make sure you stay in a hotel with a working generator. Many hotels now have inverters which are large batteries that power a single light bulb in each room in the evenings. It's best to simply work out when there is electricity and charge your devices then (even if it means waking up at 4am). Volunteering in Nepal, anything to know? There are plenty of opportunities to Volunteer in Nepal. Personally I am very much against these pay $1000 to volunteer time positions. Call it something else, it's not volunteering, it's paying to work. That said some of the charges are pathetically high. Some people pay $4000 for 6 weeks volunteering at an NGO. I have written about this in an old travelogue here (NGO's in Nepal). The best thing to do is just arrive. Go and see a place for yourself. There are so many people looking for volunteers and they provide free accommodation and basic food. It's easy to find a position like this and it probably helps more than lining the pockets of an overpriced 'Volunteer Agency' whose HQ is overseas. There is a 1130 rps Departure Tax plus 565 rps tourism service fee added on making a total payable of 1695 rps. This should be paid in Nepali Rupees only! If you are flying to India or other SAARC countries the total is 1356 rps. This fee is usually included in your plane ticket for international flights! There is also a 200 rps departure tax for domestic flights. Should I leave a tip in Nepal? In 2008 Nepal introduced a 10% service and 13% VAT charge. If this is included in restaurants then I would not leave a tip. Nepal is not North America. The native culture here is not to tip. For guides and porters if you feel their service has been above and beyond, then adding 10% - 15% is about right. Again, it's not compulsory and although everyone likes to receive, its not in the culture. Doing so changes this for the worse as I've seen in many countries. Do check out this article on dealing with money when traveling in Nepal or more. On arrival you can get a 15 day or 30 day or 90 visa. There used to by a 60, but, no more. To extend this visa, ignore all agencies and head to immigration in Kathmandu, or Pokhara, fill a form before 12 noon and collect your 30 day extension by 2pm. Very easy. You can stay up to 150 days in Nepal per year January to December, meaning if you arrive in July ... Full information about tourist visas in Nepal here. My Nepal travel guides are the best. This website is filled with more information to help you than any other. And, it's all free. Do explore through this page and the links on the sidebar to the right for a comprehensive collection of guides to Nepal. Finally, I have written many guidebooks to Nepal which are for more in-depth. Professionally written with the best maps to Nepal, free heritage walks, transport routes, recommended hotels and restaurants, trekking routes, trekking agencies and the list goes on. 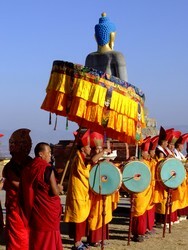 If your are planning a trip to Nepal do please purchase my guidebook to Nepal. It will help keep this website going and most definitely help you better than any other other guidebook! Read more about the best guidebook to Nepal. Check out my How to choose a trekking guide in Nepal for a lot more! Liked this page? 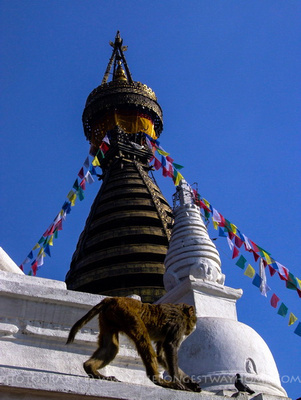 You'll love my guidebooks to Nepal! I cover Kathmandu city, Bhaktapur, Patan, Chitwan and many more places with well researched information, photographs and travel tested walking tours. They are interactive for tablets, laptops or mobile & printable. 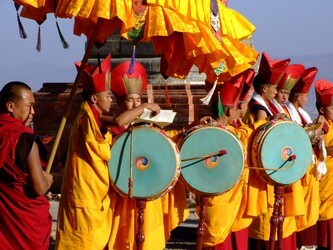 Quite honestly they will help you more than any other guide books to get the most out of Nepal. Click photo to see more information about Nepal's Sadhus! Electricity: 230AC V (two pin sockets). There are frequent power outages but generally timetabled. November to March is particularly bad as is June-July. Language: Nepali is the national language with over 92 other spoken languages. English is widely spoken within the tourism sector. Religion & faith: Nepal is a secular state. 81.3% Hinduism. 9% Buddhism. 4.4% Islam. 3% Kirant. 1.4% Christianity. 0.4% Animism. 0.5% Irreligion. Government: Federal parliamentary republic. Head of state is a president while elected ruling leader is a Prime Minster. Driving: Vehicles drive on the left side of the road in Nepal. Need a guidebook for Nepal?